I love Advent, and that felt sense of hope that rises in me. I believe, and think I always have, that there’s much more to this season than food and pressies (even though I like them!). There is a sense of ‘more-ness’ I feel; it’s not anxiety at how much Christmas is going to cost me, but deep down I believe that I should be part of something which offers more than I can offer of my own. All around the world people are waiting. Waiting for peace; waiting to find a safe place. There are elderly people who are waiting for someone to see them as they are, and love them. During Advent we can share the hope we have with someone through practical kindness, or simply asking if you can pray for them. Let’s not wait in responding to the simple expressions of love; look around and you will see someone who is in need soon enough. All round the world for many years people have been waiting for the promised return of Jesus, but they have not stood still waiting! 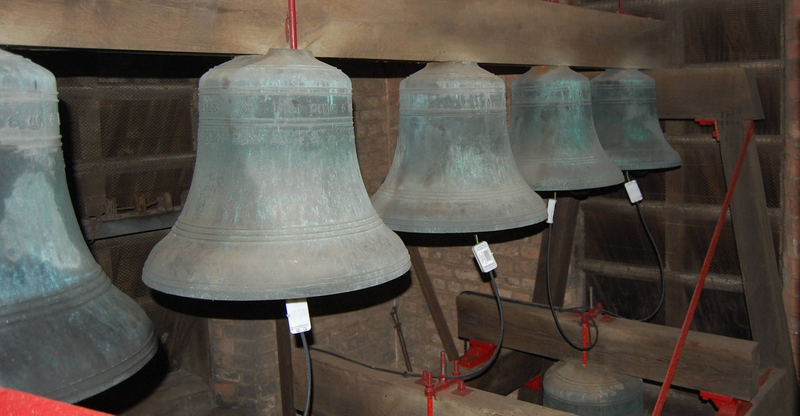 The bells keep ringing every year. They keep ringing reminding, me that Jesus was born; that God is not dead, and does not sleep. I’m waiting for this Jesus we coo at in the manger to come back to the world He loves as the King He was, and is, and is to come. I think there are lots of people who feel this restlessness, and would like to believe and hope that this is true, even though everything we hear and read in the news tries to tell a different story. ‘The bells will keep ringing peace on earth and good will to men’. Previous: Previous post: Advent – Was it always like this?